We provide the necessary competitive edge to your business and help you create an agile and efficient organization, maximize opportunities, anticipate demand better and respond to it effectively. 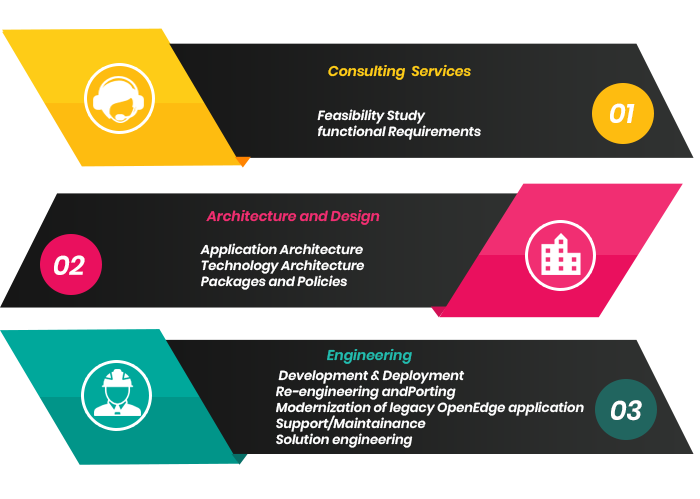 We deliver cost-effective solutions through a global delivery model, applying advanced methods such as Agile and Accelerated Solution Design to ensure that its solutions meet the clients' requirements leveraging Progress OpenEdge technology. We have a team of 30 people from OpenEdge product engineering team and OE application development back ground. We understand OpenEdge product and their usability better than consulting firms/companies. We have rich experience of Progress OpenEdge Product best practices.